Hasselblad loaned me the camera for review and to shoot with. They did not pay me for the review and the opinions here are my own. Over the last month I’ve been shooting on the Hasselblad X1D, which is a Medium Format camera that Hasselblad introduced back in June 2016 as the first in its XCD system. Now before I get too far into this, you must realize that talking about Medium Format digital cameras online is a frustrating experience. People get very suspect about Medium Format mostly due to the expensive prices. As a result insults get hurled and misinformation gets spread like wildfire. Many photographers have limited experience with Medium Format and expect these cameras to perform like smaller full-frame or APS-C sized sensor cameras. They don’t. They provide high resolution, detail and color definition. So quickly let me say this. Right now there is 1 CMOS Medium Format sensor all camera companies are using. It comes in 2 flavors: 50 megapixel and 101 megapixel. These sensors are produced by Sony. All Medium Format cameras currently being produced are using one of these sensors. This includes Phase One, Fujifilm, Hasselblad and Pentax. That’s it… at least at the time I’m writing this. Because the sensor is much larger, the lenses and bodies have to be as well. Because of this, digital Medium Format tends to work best with tripods for landscape or studio photography. What Hasselblad have designed with the X1D series is a camera that is MUCH smaller than what we are familiar with from other camera companies. Hasselblad have worked wonders in terms of ergonomics and that’s important to understand. Is the camera going to replace the favorite cameras of photojournalists and sports photographers? Probably not, its still a slower shooting experience, but the important thing they have done is increased the portability of Medium Format dramatically. In fact as a studio or landscape camera this is a huge benefit as well as its simply less camera. Its portable, its light and you will likely to have it with you as a result. The camera comes in two colors, a gun-metal silver and an all black. The design is what you would expect from a high end Scandinavian camera company – its absolutely beautiful. The grip is extremely comfortable and the camera handles really well. I fell in love with this pretty much immediately as its the kind of camera you want to use. It inspires you to make photographs. Another reason the ergonomic design is important – there is no image stabilization and your technique is going to be important in getting sharp images if you’re shooting hand held. I need to note that at this moment, no Medium Format camera’s have image stabilization. If you rely on IS, Medium Format is likely not for you. Generally as a rule you probably want your shutter speed to be double your focal length for steady shooting. This is not possible in low light situations but this camera handles really well and I’ve shot down easily at 1/20 and a few times even slower and had no trouble at all. Much of that is the weight combined with the design of the Hasselblad X1D. The important aspect of the Hasselblad X1D is that it is a mirrorless Medium Format camera and that it makes use of an electronic shutter system. This is important as traditionally Medium Format cameras are designed with leaf shutters in the lenses (with the exception of Fujifilm that uses a mechanical shutter system). Leaf shutters are traditionally preferred because the moving parts are smaller for the bigger surface area of the sensor and they support a much higher flash sync than a mechanical shutter curtain will allow. The downside is this means the lenses are priority to the camera system. But now Hasselblad have made use of the electronic shutter which opens up the options for using 3rd party lenses and increases the versatility of the camera considerably. The interface on the X1D is extremely well executed. 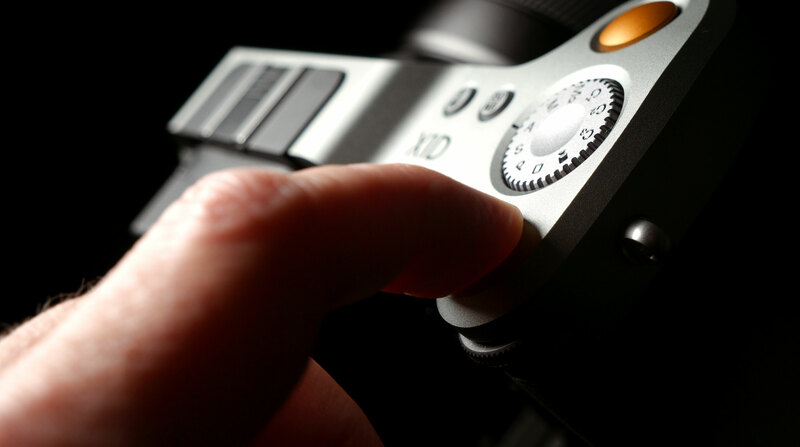 The physical layout is very simple consisting of the shutter button, power button, two customizable buttons (preset to Autofocus and ISO/White Balance) and a mode selector. The front of the camera features a depth-of-field preview button that is also customizable. For example, I set this to toggle electronic and mechanical shutters. There are two dials – one on the front and one on the back of the grip for dialing in various settings. Two customizable buttons are on the back for exposure lock and back-button focus. The menu interface is well thought out. One of the best I’ve used actually. The fonts are easy to read and pretty much everything operates with a touch interface. Unlike what we’re all used to on digital cameras – this interface is actually intuitive and easy to use. The main functions can be dialed in using touch – very useful for tripod shooting in manual mode for landscape, product or long exposures. The secondary functions use an “app style” icon interface that is fully customizable. This is where you can dig into deeper camera functions and its very easy to find what you’re looking for. So at this point, the electronic shutter isn’t perfect. It was rolled out in a firmware update about a few months ago, but its an important aspect of this camera. Its not perfect – CMOS sensors are prone to a “rolling shutter” or “jello shutter” effect that will distort moving objects. Its just the nature of the beast, smaller cameras have this issue as well but its more pronounced on a medium format sensor. But for me it does 2 things extremely well. If you’re not moving much this makes the camera silent which is great for shooting in relatively sensitive situations. The other thing that its great for is when you need higher shutter speeds than what the leaf shutter will give you. If you’re shooting wide open for a certain look in bright sunlight – the electronic shutter will accommodate beautifully. I hope the rolling shutter can get sorted out one day because it’s clearly useful and actually desired over mechanical shutter systems. As I write this there are currently 3 lenses available for the system. There is a 30mm wide, the 45mm “normal” and the 90mm portrait lens. All 3 of these are incredibly sharp. The 30mm is easily my favorite in the line up. Its a great wide angle with very little distortion and is a joy to use. The 45 is excellent, but ends up being about a 35mm on a full frame sensor. Its a good walk around lens, but just not my favorite focal length. On the 90mm the bokeh isn’t great, but if you understand the look you can get with shallow depth of field it will serve you well. If you like rounded spherical highlights in your background, the 90mm won’t give them but as a nice portrait lens it still works. Its going to depend on your taste. In fairness this is a completely new camera system and lenses will be designed that replace what’s currently available. 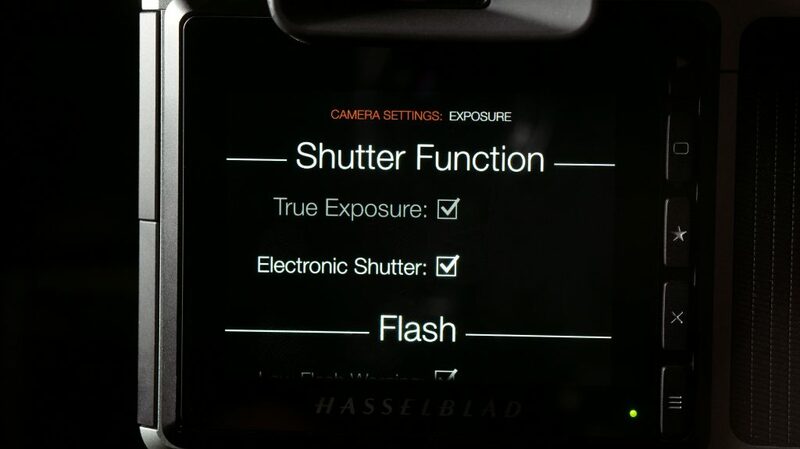 However the firmware now supports an adapter that allows you to use H Series lenses with autofocus on the X1D. 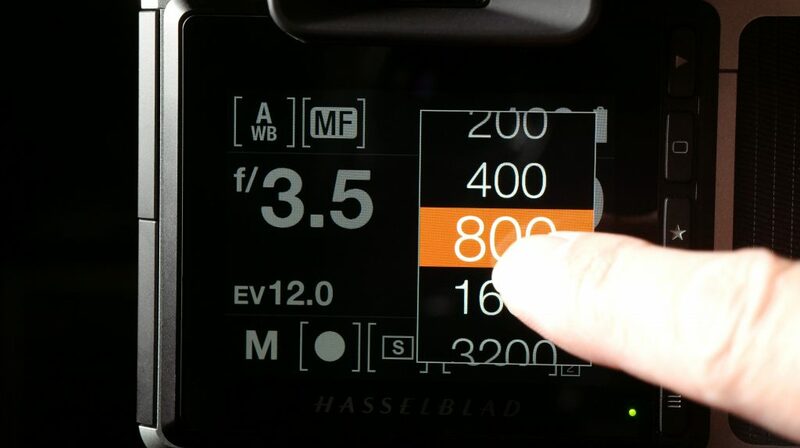 The autofocus is extremely accurate on the Hasselblad X1D, but honestly its contrast detection (all Medium Format cameras are) and its single point only. The way I’ve set up the camera is in manual focus and I use the back button override when I need autofocus. The challenge with this camera is that its much smaller than all the competition but its still Medium Format so you can’t expect it to act and behave like a smaller digital camera. You can shoot street or candid shots with it but you need to prefocus and zone focus quite a bit. Another thing I really want to see improved on is the actual shooting speed. If you’re using the EVF its fine but if you’re shooting using the back screen there is a slight delay between pressing the shutter and the camera taking the shot. For landscapes or product its no big deal, but for candids, its enough time to miss the moment which is frustrating. There is an “MQ” mode which is instant, but it shuts off the screen and the EVF as you’re expected to have everything set up. This is silly as you can’t do that for candids and for set up shots it doesn’t matter. The X1D does support Nikon type flash units, but that’s about it. You can use any flash with this camera, but be prepared to manually adjust. Not a problem for me as I prefer manual but for some it won’t be worth it. When Hasselblad reached out to me they explained they hand delivered all of their loaner cameras. This is done so they can sit down and talk your through it. 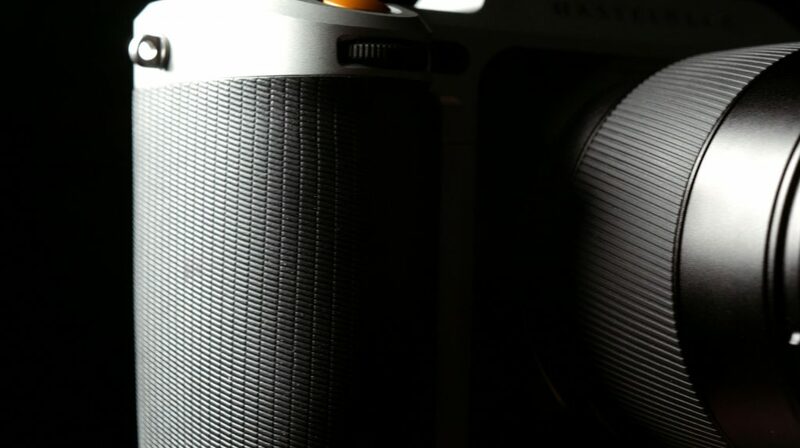 I was extremely impressed with this and Hasselblad were very forthcoming about some of the problems they have had. When the camera was released in 2016, the completely new design had its flaws. The firmware was buggy and the X1D was difficult to use. There were lots of strange quirks like the camera crashing, displaying the image just taken in the viewfinder… the list goes on. I had read many negative reviews on the X1D but I have to say in all honesty I’ve had NONE of these problems. I found the system to be intuitive and extremely reliable. At the time of writing (and over the last year) there have been 7 firmware updates. Hasselblad reached out to me and said at this time they finally feel confident with the X1D and are extremely committed to making this an incredible system. There are a lot of “wish list” items for the Hasselblad. I have had the opportunity to work directly with several people at Hasselblad and I understand what they are doing with this. I’ve given some input as well and I’ve really enjoyed getting to work with them on this camera. The bottom line for me with Medium Format is this. You’re paying for resolution. The X1D delivers that in a system that is compatible with 3rd party lenses and a light weight form factor. I love it. I’ve gotten great shots with it that print big and I love the system. Medium Format is a different beast. We don’t have phase detection autofocus, extreme high frame rate shooting, 4k video or any of the other features we are all used to on much smaller cameras. You can’t compare Medium Format to that at this point. It just hasn’t evolved and is still a different animal. And Medium Format cameras are still relatively expensive which is why most people won’t understand. But if you want resolution and image quality – the Hasselblad X1D is the most compact system and the best you’re going to get for the price point. Its not for everyone – I get that. But if image quality is your top priority, this camera is the direction things will be going in as we move into the future. This is the camera that others will model after.